These "Do not switch off" labels have been designed for use on plugs and electrical sockets to prevent essential electrical equipment from being turned off. 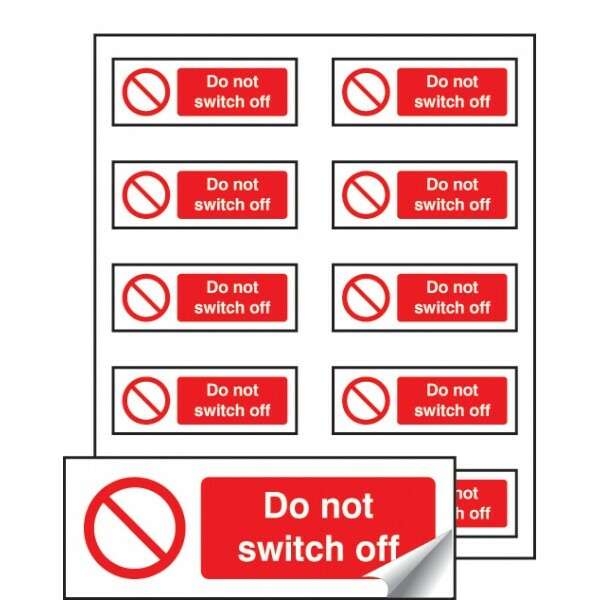 These "Computer, Do not switch off" labels have been designed for use on plugs and electrical sockets to prevent essential electrical equipment from being turned off. Miscellaneous Products / Materia..